Southeast Europe is known for its gas dependency on Russia and lignite power, but its enormous potential for renewables could help Europe meet its climate targets and strengthen regional economies. Julian Popov takes a look. South East Europe (SEE) might have different geographic definitions but when it comes to energy, it makes sense to take the wider one. This is the approach of the Central and South-Eastern European Connectivity (CESEC) group. It covers 17 countries, includes Italy, Austria, Hungary, Ukraine, Romania, Bulgaria, Greece and everything in between. The CESEC energy ministers group was set up in Sofia in February 2015, shortly after Vladimir Putin announced the end of the gas pipeline South Stream. Initially the idea was for the group to find a solution to the perceived gas infrastructure crisis. However, it quickly realised that regional energy infrastructure and market integration, combined with clean local energy sources and improved energy efficiency, is a better economic and security solution than building large gas import pipelines. Today CESEC works also on electricity, energy efficiency and renewables and increasingly focuses on the market integration that will enable better deployment of a wide diversity of energy sources. The CESEC process has also highlighted some unexpected energy dimensions of the region. It is well known that South East Europe is packed with dirty old lignite plants, gas pipelines that are dependent on Russian supplies and stubborn political defenders of the old energy industry. What was not that well known was that the SEE has vast, diverse and cost-competitive renewable energy potential. That combination makes the SEE a key maker or breaker of Europe’s Paris Agreement goals. If lignite stubbornness prevails, we can forget about Europe leading the global climate drive. But if cost-competitive renewables are properly deployed, then Europe could aim very high. According to an IRENA study that covers only part of the CESEC countries, the region currently holds 127GW of cost-competitive renewable energy potential. This is 15 times higher than its 2020 renewables target. By 2030, a much more relevant date for calculating the cost of energy infrastructure, only wind and solar cost competitive potential could grow to 650GW. In other words, South East Europe could start immediately developing and adding huge renewables capacity to the European energy mix. The IRENA assessment is supported by other research papers and plenty of anecdotal evidence, as well as by the actual developments in the region. 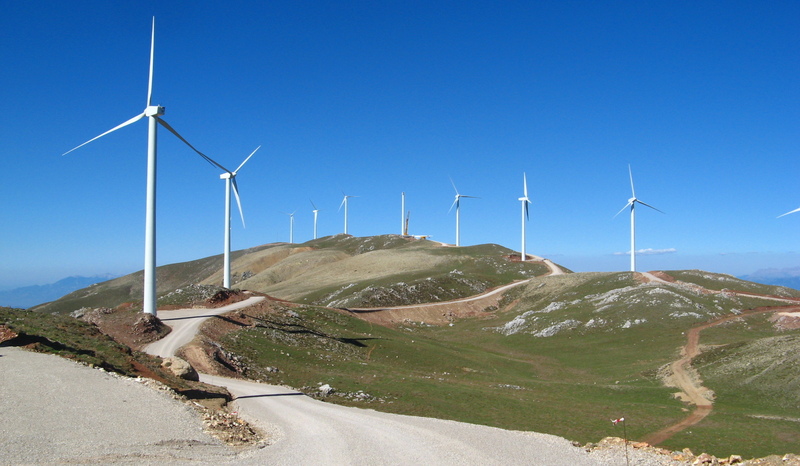 Bulgaria and Romania have already reached their 2020 renewables targets. Both countries and Greece went through periods of intensive expansion. Most SEE countries have also significant hydro, including hydro storage, which helps balance out the variability of renewables. The IRENA assessment might be even conservative. It does not include the vast energy-saving and offshore wind potential, and it doesn’t cover all the CESEC countries. Considering all of this, the SEE could see the most dramatic transformation in Europe from high to low (or even negative) carbon intensity. The low or negative carbon intensity path also offers many economic benefits for the countries in the region. An ambitious decarbonisation path could bolster economic growth, strengthen energy security, contribute to cleaner air and bring higher quality better paid jobs, attractive for young people many of whom are now moving to the west. The obvious question then is: why is this potential not used? Well, part of it is. But what has been done is only a first step. There are at least three reasons why the CESEC region hasn’t pushed renewables further. First, the dramatic drop of the cost of renewables came after the economic crisis that reduced the appetite of investors to invest in countries with higher political risks. Second, many CESEC countries are policy followers, not first movers. Third, in energy terms the region is politically ignored and misinterpreted. It has been defined primarily as a gas corridor, a view that is strategically very limiting. There are also many small administrative, legal, tax and other piecemeal barriers, which taken all together make development and investing in clean energy like running in the sand. All this could change, but that change must be seen as a common European task. If Europe wants to both reach its Paris climate targets, and at the same time strengthen its industrial competitiveness in a world that is rapidly shifting towards low carbon innovation, research and development, it should focus on South East Europe as one of its most promising clean energy pillars. Julian Popov is a Fellow of the European Climate Foundation, Chairman of the Building Performance Institute Europe and former Minister of Environment of Bulgaria.